Dandruff is a scaling condition of scalp that, in addition to being annoying because of itching and burning feeling, is anti-aesthetic and can cause discomfort and embarrassment. 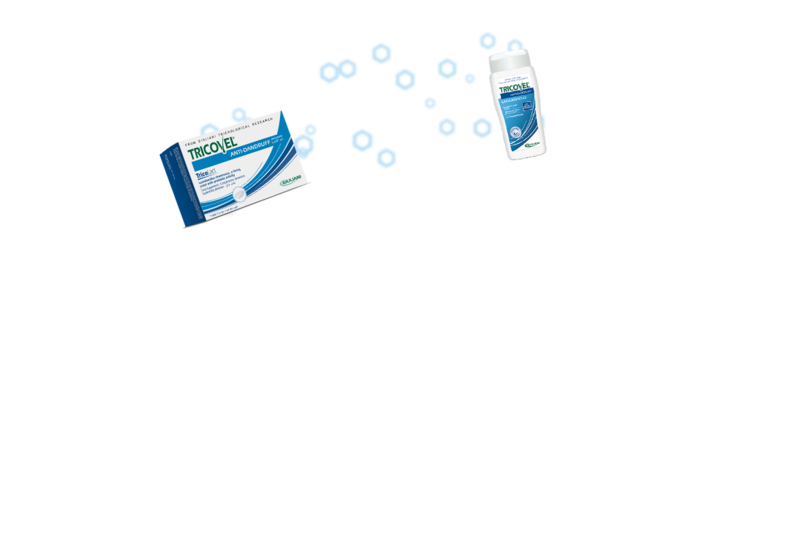 Inorganic influences, such as a poor diet, particularly stressful or challenging periods, intestinal imbalances and antibiotics are some of the factors that result in excessive flaking of the scalp, the cause of dandruff. This is due to abnormalities in the scalp’s cells replacement process. Cells are normally replaced every 20-30 days and in the case of dandruff are placed more rapidly, as often as every 15 days. The lack of balance in bacterial flora therefore results in an imbalance of the scalp. Even external factors, climate, smog and aggressive aesthetic treatments are also among the causes of flaking. In both cases, flaking is often associated with an abnormality in the hydro-lipid status of the scalp, causing the formation of oily dandruff (if the scalp is oily) or dry dandruff (if the scalp is dry). Flaking is often accompanied by redness and itchiness. Also, with dandruff, fungus-like microorganisms grow at the root of the hair, such as Pityrosporum (Malassezia) ovale, which tend to proliferate and spread over the entire scalp. The presence of this fungus worsens flaking, therefore also increasing the presence of dandruff. 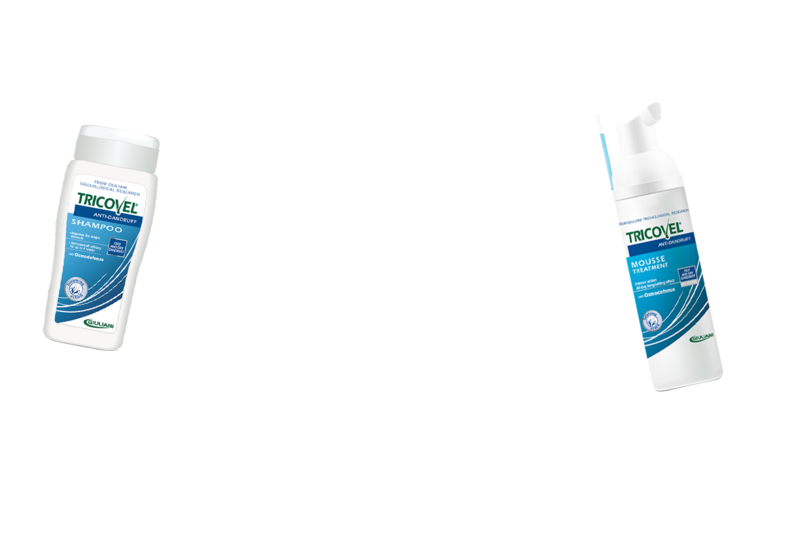 Being a skin problem with aesthetic and psychological negative impact, Giuliani Trichological Research has decided not to underestimate it and has developed Tricovel® Anti-Dandruff product line specifically designed for hair and scalp affected by flaking, and effectively facing the problem of dandruff – both oily and dry. 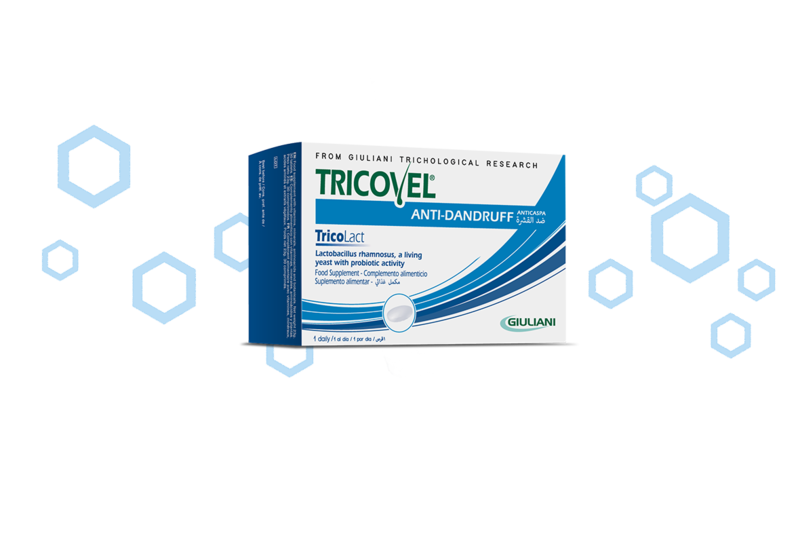 Tricovel® Anti-Dandruff is an innovative answer to the problem with unique products with exclusive active ingredients acting from the inside (tablets) as well as from the outside (mousse and shampoo) on all causes of dandruff, both for dry and oily, to normalise cell renewal and sebum production, purify the scalp and strengthen its defenses.